Calvin started playing piano when he was three. At that age he was geeked to be making intelligible sounds come out of that thing that his dad was so graceful with. Over the years he has gone through phases of insane, insensent practicing, and phases when it took pulling teeth to get him to eek out a half hour or so. Lately he's started to come into his own with the instrument. He has clear opinions about what he enjoys playing (recognizable pieces), and even clearer opinions about what he hates playing (scales), and he's started adding his own flavor to everything he plays. His specialty is elongated, drawn out, improvised endings to the most mundane songs. 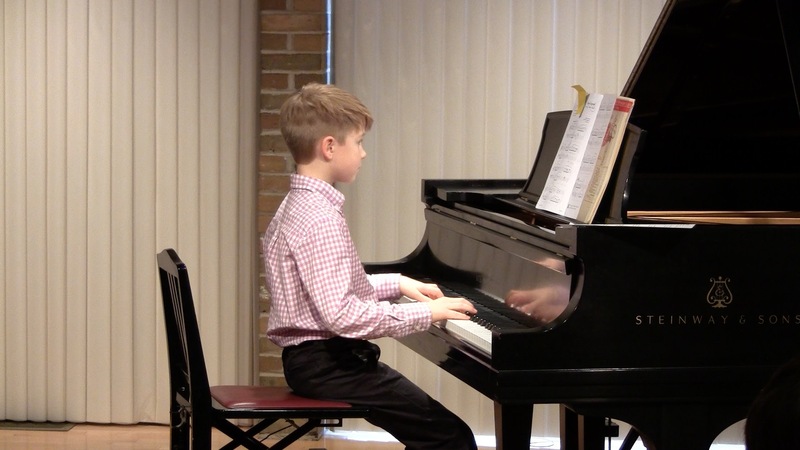 He played his own endings to two of the pieces in his recital this weekend.